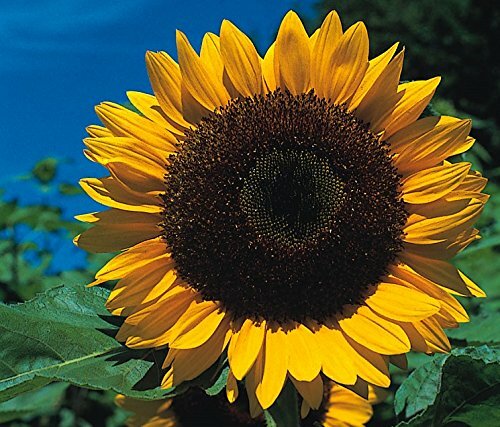 I have received 300 Sunflower seeds from Seekay at a cost of 99p. I have washed eleven containers, recycled plastic pint beer glasses, I plan to put holes for drainage and fill with sandy compost to sow the Sunflower seeds. Having done a bit of reading it seems that March is the earliest time to sow. Although most advice says sow where they are to grow this would be difficult as the garden is in the process of being rearranged this year. Sunflowers grow a long tap root which prefers not to be disturbed, however, the seedlings are targeted by slugs so it may be safer growing on in pots until stronger. This morning. 26th January, I have started a sunflower seed germination experiment. I have removed the husk from three seeds and put the seeds in wet kitchen towel, I have included one intact seed and then put all inside a plastic box. I have also sown one seed intact into a pot of compost and put the pot into a polythene bag.. They will be kept warm and observed. Update – 28th January – In just two days all of the seeds in my kitchen towel have germinated, the ones with the husk peeled off and the one left intact exactly the same. The one put into compost isn’t showing yet but I am hopeful that the root has emerged the same.